Here at NPQ we are great believers in the value to managers of reading forensic audits and that is how we look at the Government Accountability Office’s recent document on the Red Cross, entitled American Red Cross: Disaster Assistance Would Benefit from Oversight through Regular Federal Evaluation so we figured we would give you direct access. The report is well worth a read. 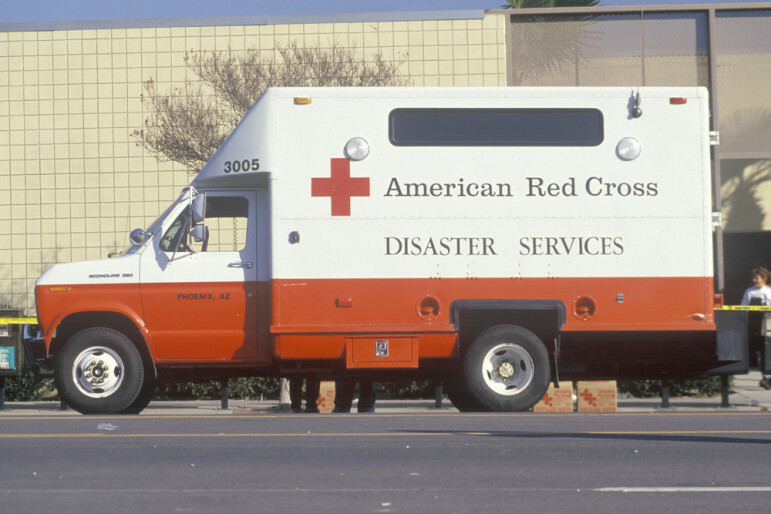 The American Red Cross was founded in 1881 and is one of a small number of congressionally chartered nonprofits. It received its first congressional charter in 1900. The Red Cross has an official role in the United States’ disaster response plan so the congressional interest in it is understandable and, in light of this, when the the GAO found that there is no oversight of performance or efficiency, it recommended that action be taken. The Red Cross has issued a statement declaring that it is not a federal agency and already has accountability measures in place sufficient to the need. “The Red Cross believes there are several already existing mechanisms in place to evaluate our disaster response that provide considerable oversight,” but the report found that oversight of the agency was made up of a patchwork of accountability relationships that do not really so much measure effectiveness as financial management and governance. Weirdly, among those mentioned are watchdog agencies like Charity Watchdog and the BBB Wise Giving Alliance which certainly can not be seen as taking a serious monitoring role. Although states may investigate the Red Cross when potential issues arise, officials in several of the states we contacted said their oversight is limited to some degree because of Red Cross’s close connections to the federal government. Many states require certain nonprofits to register with their attorney general’s office. In the six states we contacted, we were told that registered nonprofits must submit information such as annual financial statements, data on how professional fundraisers are used, and compensation amounts. However, all six states exempt Red Cross from these requirements, and officials from several of those states and an expert on state oversight of nonprofits told us this is generally the case. Officials in five of the six states we contacted told us the Red Cross is exempted because of its status as a federal instrumentality or because it is already subject to oversight by the federal government, such as the requirement that it submit financial records to DOD. Despite the Red Cross’s significant role in responding to the nation’s disasters, none of the government or nonprofit organizations we identified as having a role in overseeing the Red Cross conducts regular, ongoing evaluations of its performance providing disaster services. Among federal agencies, IRS and DOD do not focus on delivery of disaster services. While FEMA is directly involved with disaster services, FEMA and Red Cross officials told us that FEMA generally has no formal role in overseeing or evaluating the Red Cross’s—or any other nonprofit’s—performance in disasters. FEMA develops after-action reports following major disasters, but these are assessments of FEMA and the disaster response system overall. For example, in its after-action report on the response to Hurricane Sandy, FEMA assessed the strengths of the response FEMA coordinated across all organizations involved, as well as the difficulties, and suggested improvements for future events. The report did not evaluate the performance of any one particular organization; rather, it described participating organizations’ contributions, including those of Red Cross. While FEMA does monitor the Red Cross’s use of federal funds that it provides the organization through their IAA, FEMA funds represent a very small fraction of the Red Cross’s overall spending on disaster assistance. The nation’s disaster response system relies to a significant extent on the nonprofit sector, which harnesses the public’s generosity to provide funding for disaster response and recovery efforts. This approach can support the nation’s efforts to assist disaster victims, but it also has limited accountability for disaster assistance. The Red Cross, the organization most responsible for providing shelter and other mass care services to disaster victims, exemplifies this tension. It has been designated by law as an instrumentality of the United States and has a critical, formalized role in coordinating and providing disaster response services across the nation. At the same time it remains a nonprofit organization that generally makes its own decisions about what services to provide. This reliance on an independent organization can be effective if government and the donating public have confidence that Red Cross is providing the services that are most needed in an effective and efficient manner. Further, in disasters in which the federal government is involved, the extent and effectiveness of the Red Cross’s activities could have a direct impact on the nature and scope of the federal government’s activities. No nonprofit welcomes multiple layers of oversight for any number of good reasons. It tends to drive administrative costs up and eat up the time and attention of leaders, sometimes making for an overcautiousness or avoidance of risks when risks are necessary but Red Cross’s central position in the nation’s disaster responses puts the organization in a special category where its accountability links to the federal government’s. But the proposition that their accountability can even in part be attended to by external watchdogs like Charity Navigator is patently absurd. Perhaps Red Cross should have been more pro-active about its public reporting, transparency and accountability mechanisms after problems in response were surfaced and widely publicized in Hurricane Katrina. Now it appears that it will be thrust upon them but they might want to spend less time in self -protective mode and more time participating in the spirit and design of an accountability system. Resistance only makes the organization look like it is recalcitrant.